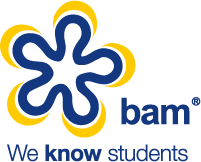 Short deadlines are meat and drink to the news media, so BAM was unphased when The Guardian asked for help meeting a 3-week turn-around for its key student supplement. The challenge was two-fold: source student-focused brands to advertise in the Freshers Guide; and then distribute the supplement directly into the hands of students on campus and at student shopping events. The Freshers guide was first published within the national Guardian newspaper on the 24th September 2015, carrying several advertisers sourced by BAM the supplement was then taken ‘on tour’.